Note: The project selected in the DUG Insight Launcher will be the project used for reporting. 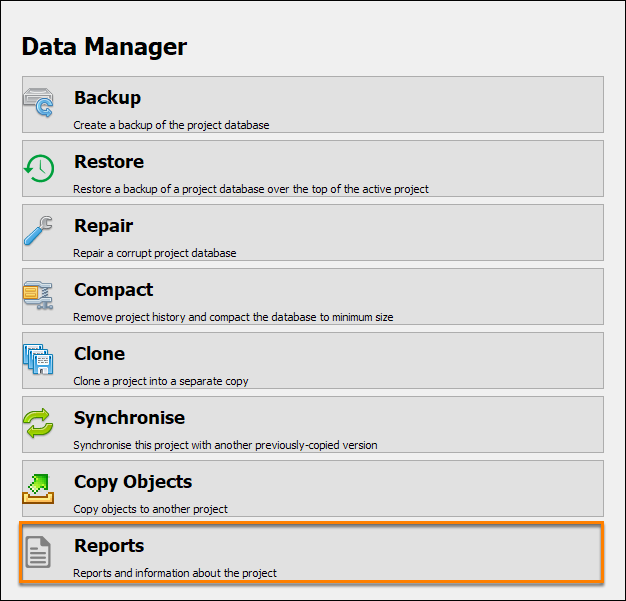 In the Data Manager window, click Reports. Click Save Results and select the folder location and file name for the text file. The text report includes the information shown in the table. Project summaries are a complete set of text files describing the contents of a project. Use project summaries to create tab-delimited files for review in a spreadsheet, or for analysis using scripts and other tools. Choose the directory for the text files by clicking the blue folder icon. Note: Click the down arrow to select previously created folder. Type a report name or use the default date and time format. 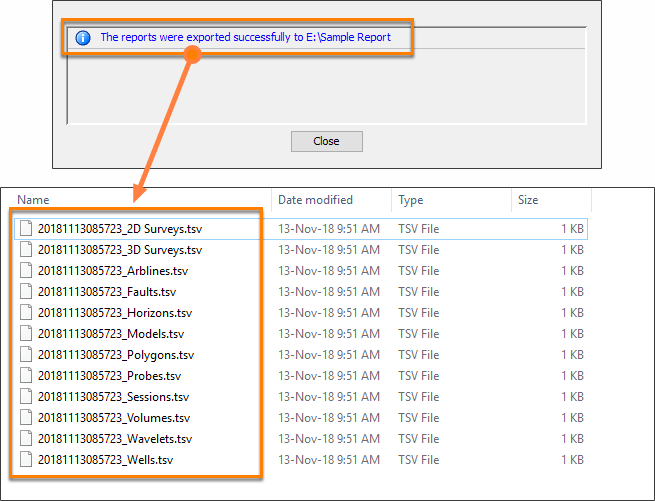 The reporting tool creates individual tab-separated text files containing details for each type of item in the project.